Baseline out of bounds - name. Start with an overload on the ball side. 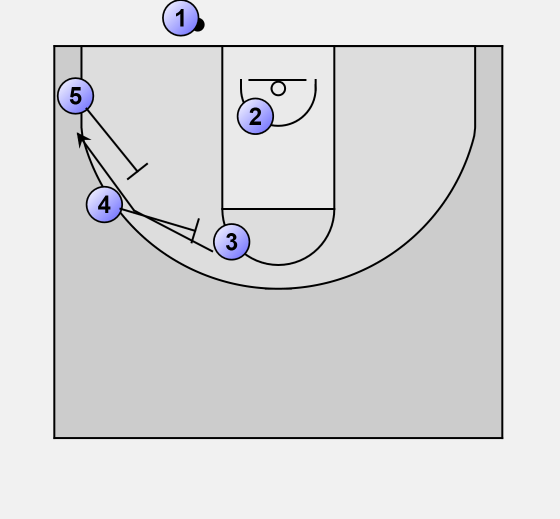 Player sets a screen for 2 who cuts towards the ball for a possible easy lay-up. 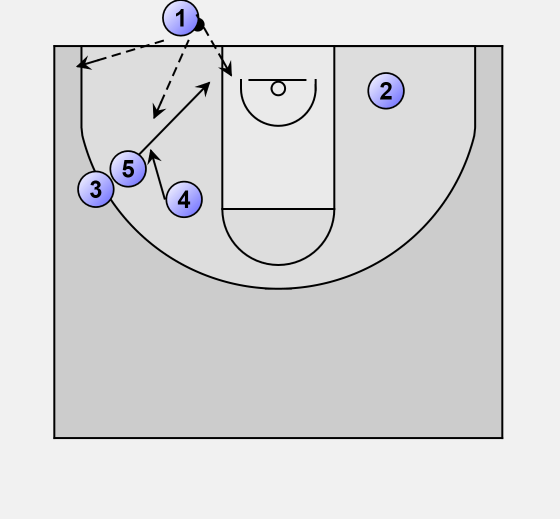 Keep in mind that screen the screener often works. 4 and 5 set a staggerd screen for 3. After 3 passes the screen of 4, 4 cuts to 5 position. Confusing 5 defender. After 3 passes 5, 5 cuts to the basket. 1 has multiple passing options.